Have you ever seen a hummingbird? I've seen 3 in the last couple of weeks and watching them fly is so cool. It looks like they're just floating there in the air. Obviously, their little wings are just flapping really quickly, but it doesn't look like that. Anyway, my point is that the birds are coming back. Sure, I live in Northern California and it doesn't get as cold here as it does in other parts of the country, but there still aren't as many birds here during the winter as there are during the spring and summer. 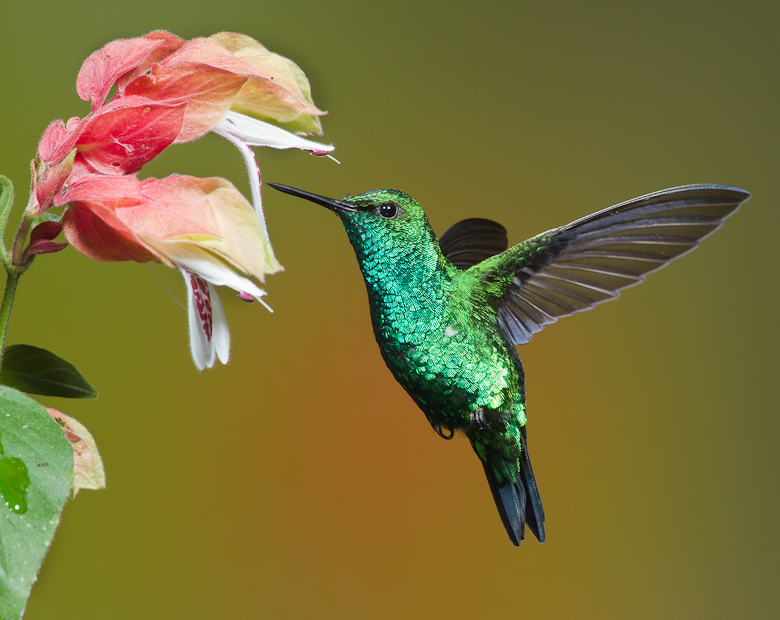 Just like the birds, new books, much-anticipated books are coming this spring. I know what you're thinking--new books come out every Tuesday, which is true, and yes, there are big books that come out throughout the year, but this new batch seems special. I'm not really sure what that special thing is, but it is there. These are some of the books I'm most looking forward to reading over the next few months. 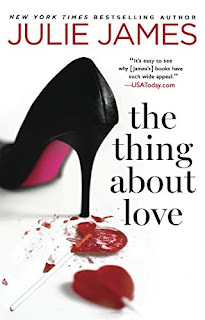 The Thing About Love by Julie James is the newest book in FBI/US Attorney series. Coming out on April 18th, readers (myself included) have waited for 2 years for this book to be released. The last book Ms. James published was not a part of this series, although I like to think of it as being adjacent to it--maybe spun-off from it is more apt as the hero, Ford, was the best friend of Brooke, the heroine from Love Irresistibly. Sadly, it wasn't one of my favorite books. This book, thankfully, is a return to normal, at least I hope it is. The hero and heroine came up through Quantico together and couldn't stand each other. Since graduation, they haven't seen each other and aren't happy to be working together again. Enemies to Lovers is totally my catnip (or at least one of them) and if there is one author I trust to get this right it is Julie James. 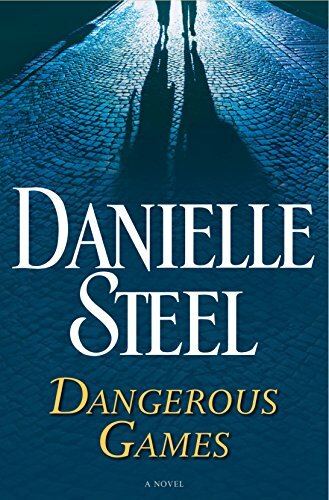 I have to admit that I've never been a big fan od Danielle Steel. The one book of hers I read was sometime in the early 2000's back when I was still in high school. My cousin loaned it to my mom and I read it after she did. It involved a 30-year-old woman sleeping with a 70-year-old man. At 14 or 15 years old it creeped me the hell out. At 30, just thinking about it makes me uncomfortable. People say that age is just a number, but if the guy you're sleeping with is old enough to be your grandfather, then you should probably seek professional help. With her daughter in college, and working alongside cameraman Ben Chapman, a deeply private ex–Navy SEAL, Alix revels in the risks and whirlwind pace of her work. But her latest assignment puts her at the center of an explosive story that will reshape many lives, including her own: investigating damning allegations involving the Vice President of the United States, Tony Clark. First, I love the fact that Alix is an older heroine. Unless she was ridiculously young when she had her college-aged daughter, she has to at least be in her 40's. Then, there's the fact that she was a Navy SEAL. 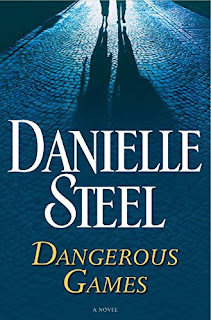 There are so many SEAL books, but this might be the first I've seen where the heroine was the SEAL. That's just awesome. Finally, there is the political intrigue--not that we need much more of that right now. Hell, lately reality has become much stranger than any fiction created by someone sitting behind a computer screen. At least when the political intrigue happens between the pages of a book it will be over at the end and probably won't involve the FBI investigating someone I hope will be declared an illegitimate president for treason. You do not know how excited I am for this book. 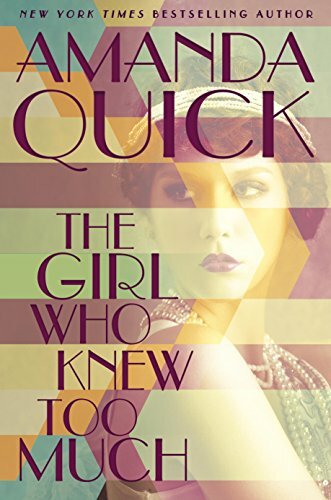 I've been waiting for a book that takes place in the early 20th Century for what seems like forever. 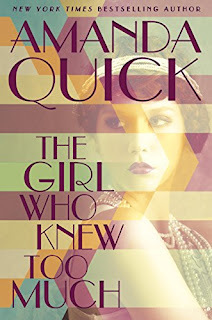 I devoured the Francesca Cahill series by Brenda Joyce and while that takes place a good 30 years before this one does, I'm happy to finally get another 20th Century Historical Romance. I have had this book sitting on my iPad for months now because it has been on Netgalley since sometime last year. I'm not quite sure why it has been available for so long, but that only just seems to be making me more impatient for May to finally be here. What I like most about this is that not only does it take place in a time period that we haven't really seen before, but also takes place in old Hollywood. Glamorous, I bet it is going to be glamorous. 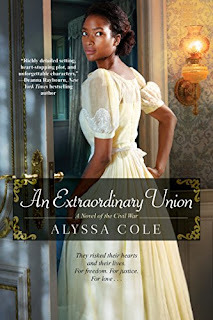 I've never read anything by Alyssa Cole, although I met her several years ago at Lady Jane's Salon in New York City. I've also heard a lot of amazing things about her writing, so I should have tried her books before. I'm honestly, not sure why I haven't read anything by her yet. An Extraordinary Union seems like a great place to start. This book is set during the American Civil War and involves two spies, one a former slave, who has given up her freedom and her home in Massachussetts to return to the South to spy for the Union. The hero is also a spy, but instead of working for the army, he is one of the Pinkerton detectives. This sounds awesome. There are so many books coming out within the next few months and honestly, I'm looking forward to them all. I know that I'm not going to like all of them, but someone will and that's what makes them great.